Start by running your brushes under warm water, to rinse out residual make-up. Hold you brush with the bristles facing downwards to avoid getting water in the part where the handle meets the head. This ensures that you don’t accidentally loosen the glue that holds the bristles together! Add a small amount of mild soap or shampoo to your makeup brush bristles. Sweep and swirl your brush on the textured surface of your makeup brush cleaner. Rinse the brush tip under running water again. Repeat steps two and three until the water runs clear from the brush. Make sure you squeeze and form your brushes back to their original shape. 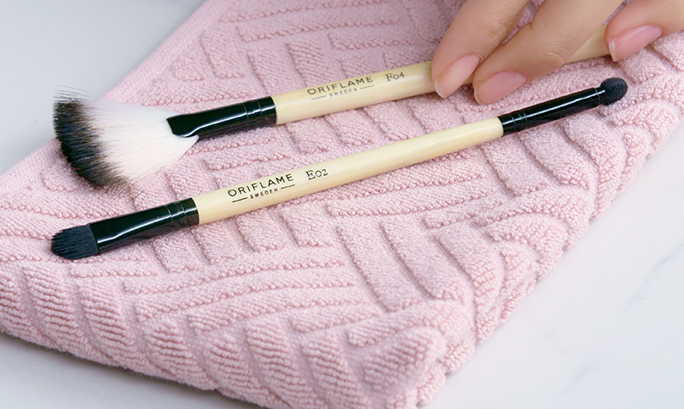 Finally lay your brushes flat on a towel and allow them to air dry! 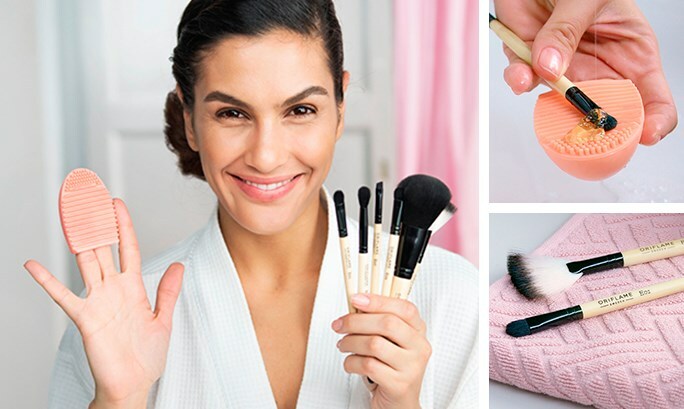 Repeat with all of your brushes! And there you have it: squeaky clean brushes that will last a very long time!